Tours with the Head of the College and school Principals are conducted during school terms. Bookings are essential. Please telephone the Enrolment Office on 85220 666 or email enquiry@trinity.sa.edu.au for further details or to make a booking. A Montessori Preschool tour is optional following Gawler Site tours. Alternatively, contact the preschool directly on 8522 0660 to book a tour. 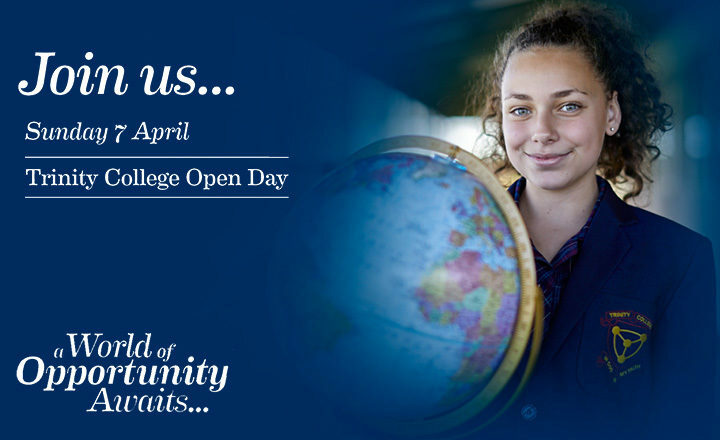 Family, friends, old scholars and prospective parents are invited to come and explore all that Trinity has to offer during Open Day 2019. Visitors will be entertained by our music faculty, take part in experiments, meet teachers and specialist coaches, explore the College playgrounds, visit our farm, taste our wine, discover Trinity history, try an instrument, enjoy artwork and watch our sporting teams in action against the old scholar teams. DOWNLOAD A PROGRAM HERE. Come and taste the colours of the rainbow.